The massacre on Mambilla Plateau in Taraba State where close to 200 Fulani were killed by a local tribal militia, an act which appalled even a hardened General on an investigative visit. Bachama militiamen killed nearly 60 women and children in Fulani villages in Numan Local Government, Adamawa State. Those horrific events didn’t draw the round-the-clock electronic and print media coverage given the Benue crisis, perhaps in clear vindication of the Shakespearian saying, “When beggars die, there is no comet seen. But the heavens themselves blaze forth at the death of a prince.” The loss suffered by the “so-called Fulani herdsmen” in these attacks didn’t occupy public attention for long, nor was a period of mourning observed in their honour. Certainly there was no period of mourning in Taraba State. Professor Soyinka didn’t weigh in with a lengthy statement of condemnation. The only noteworthy commentary on the events in Mambilla and Numan was by Timaus Mathias who lamented the breakdown of relationship between Fulani herders and the Bachama community. It is a good thing that numerous other security challenges have been identified as holding Nigeria hostage – they include kidnapping, cultism, armed robbery. Bishop Matthew Kukah’s brother is only the latest high profile victim; an Assistant Commissioner of Police was also kidnapped in Kaduna State a couple of months ago. There’s the New Year’s massacre in Rivers State and the Badoo killings in the Ikorodu area of Lagos. Why assume that the so-called Fulani herdsmen are being armed by somebody -and to what end? Let’s not lend credence to the postulations of the Christian Association of Nigeria and the Guardian’s premise of a plan “to Islamise” the country. A deliberate and palpable falsehood. Fulani pastoralists-farmers’ clashes have no connection with “ancient battles and unfinished wars,” satisfactorily as that conclusion may be to those who misread history. The Fulani jihad was a revolution carried out in mostly Hausa Muslim kingdoms (Borno was also a Muslim empire). The Benue valley and the Plateau weren’t the Jihad’s focus areas, Benue especially wasn’t contiguous with any Hausa kingdom. The relationship between the tribes of the Plateau and Bauchi was one of war and slave-raiding, a common thread in interstate relations across sub-Saharan Africa. Colonial rule couldn’t abolish the kingdoms and they needed the former rulers to control the vast territories. Indirect Rule was applied to the Yoruba kingdoms in more or less equal measure, evidenced in the existence of Native Authorities (N.A.s) based on those kingdoms. Ahmadu Bello received the highest education that was available in the Northern Region at the time: it wasn’t for members of his generation to seek to cross the seas in search of the Golden Fleece. His policy of One North, One People has carried over to this day, such that Southern politicians have spent the better half of a century trying to prise “the minorities” from the Far North, using a variety of themes – first, ethnicity and today religion. The country’s regional arrangement lasted 50 years (1914-1967), the current one introduced by General Gowon is in its 51st year. So any state/ ethnic group engaging in blame game is in the grip of inferiority complex. The proliferation of states is the product of the demand by Southern politicians who view state creation as a tool in the political battle with the North. A more enlightened political class would canvas a return to the 21-state structure. 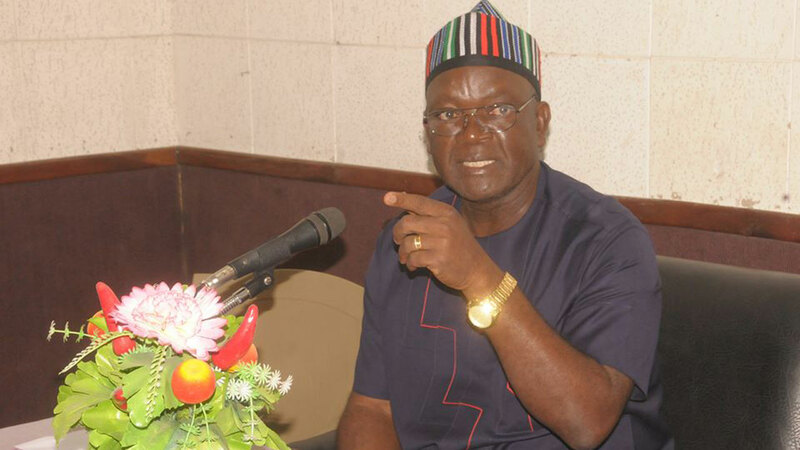 Governor Ortom may indeed be ready to explore options for peace, but how do you square that with the arrest of armed men by the Nigerian Army who claim to having been armed by the Benue State government? That “report” is in the public domain. Farmers-herders conflict is an economic struggle for same resources, land and water. It is there in Kenya, Tanzania with the Masai being the herders. Nigeria’s task is to separate this from ethnicity and religion and then it will be amenable to a win-win resolution.